The Point-to-Point Authority is the body responsible for the administration, promotion and development (governance and strategy) of Point-to-Point racing. It is comprised of seven directors - one each from The Jockey Club, the Point-to-Point Owners and Riders Association (PPORA), the Point-to-Point Secretaries Association (PPSA), the Masters of Foxhounds Association (MFHA) and three independent members. Functioning under delegated authority from the BHA, the PPA evolved from the Point-to-Point Board in order to ensure the sport's destiny was in the hands of its constituents with the resources to run its own affairs in an open and transparent way. Working closely with the member organisations plus the BHA and HBLB, the PPA ensures its funding streams are fair and proportionate and that its services are provided in the most cost effective way. The PPA is run from offices near Swindon, providing a range of administrative services to Jockeys, Owners and Point-to-Point fixture Secretaries. Peter joined the PPA in October 2018 following a career in the Army and many years assisting with the running of Larkhill Racecourse. As a Lieutenant Colonel, Peter spent much of his time in the military working in or on Africa, including time in Somalia, Uganda, Rwanda and Burundi. During that period he acquired a wealth of experience and skills that look set to serve him well in his new career, including strategic analysis, planning and diplomacy. Peter is a lifelong pointing enthusiast and has been an official, owner and racegoer at point-to-points, which has given him a wide perspective and experience to draw upon. Shelley is working on a part-time basis (three days a week) and will be the first point of contact for Area and Fixture Secretaries. Shelley has spent the past 15 years working within local Council, most recently at Stroud District Council. She has been involved with Point-to-Pointing in some way since 1987 and has a son, Charlie Dando, currently riding. Adam joined the PPA in 2018 to manage the promotion of our sport, contribute to internal and external communications and to liaise with our National Sponsors. Prior to that Adam spent 17 years working in the betting industry, and rose to the summit of his profession when claiming the prestigious Betting Shop Manager of the Year title in 2014. Adam was ambassador for the betting industry for the next twelve months, a role that took him as far afield as Singapore to strengthen ties with the international bookmaking sector. Adam got started in bookmaking because of his love for horse racing, particularly National Hunt, and he moved to his current base in Cheltenham purely to be immersed in the sport. Peter joined the PPA as Medical Advisor in October 2016. He divides his time between General Practice and Pre-Hospital Care and has worked as a Racecourse Medical Officer on numerous racecourses in the South East for the last 17 years. 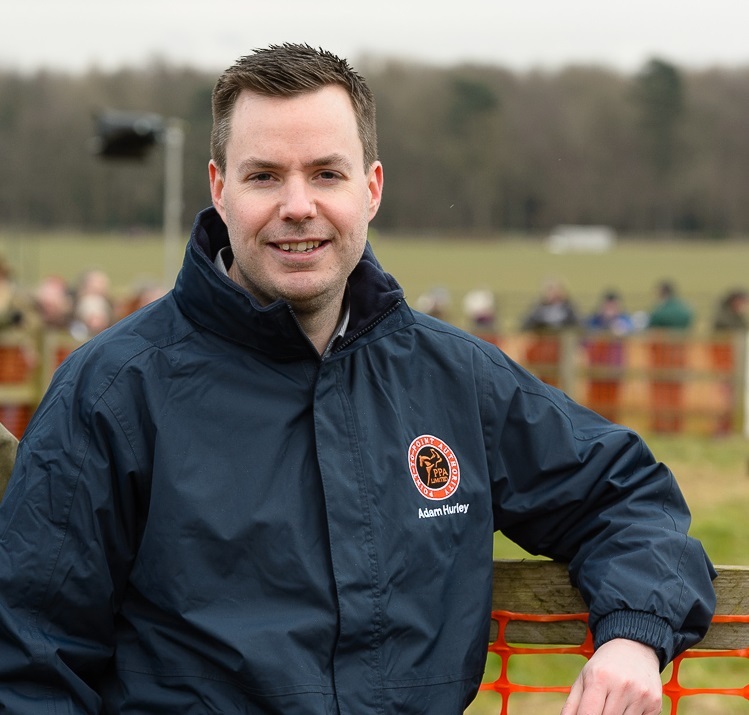 He has been a BHA Senior RMO since 2004 and is very keen to support the Point-to-Point course medical teams in improving standards of medical care for all at courses across the country. Former Point-to-Point Secretaries' Association (PPSA) Chairman, Andrew Merriam became chairman of Britain's Point-to-Point Authority (PPA) Board in July 2017. Merriam, who lives in Suffolk, becomes the fourth person to hold the role since the PPA's creation in 2008 – previous holders have been Robert Waley-Cohen, Simon Claisse and Tim Curtis. Merriam, who is currently a Jockey Club Deputy Senior Steward and British Horseracing Authority Director, has been actively involved in the sport for many years. He is passionate about point-to-pointing and has attended hundreds of meetings both as an owner, steward, husband of a trainer and father of a rider. Philip was elected to the Jockey Club in 2015 and replaced Richard Russell as Jockey Club representative in September 2017. He is a Lloyds Underwriter specialising in entertainment and sporting insurance. He is also a non-executive director at Sandown Park and has been involved in the sport as a Point-to-Point and amateur Jockey, retiring on a winner in February 2017. He rode his first winner on Glenavey at Heathfield in 1995, and if he has any regret it was that he never had the chance to ride at the Cheltenham Festival, although he has ridden in the major races at Aintree and Stratford, as well as at Prestbury Park's Hunter Chase evening. If asked to choose, he would certainly opt for Point-to-Pointing ahead of racing under Rules, citing the fun and camaraderie to be had in the amateur sport. Nick is the Co-Founder and Chief Operating Officer of online search advertising business Qmee, and Co-Founder and Non-Executive Director of Greenstone Plus, a Non-Financial Reporting Software Business supporting clients in over 90 countries. He has been involved in racing as both an Amateur and a Point-to-Point Jockey (retired in 2013) with Cheltenham and Newbury winners on his CV, along with an Aintree Foxhunters third in 2011. Now involved as an owner, with his son Ben riding as an amateur. Nick joined the PPA Board as an Independent in January 2014. Alan has ridden all his life, both hunting and racing. He was a MFH for 20 seasons, hunting hounds for 15 of those, he has now given up Mastership but continues to hunt. Alan rode as an amateur for 23 years, riding 98 point-to-point and 49 Hunter Chase winners. These winners included 3 Foxhunter winners; 2 at Aintree and 1 at Cheltenham. He now trains point to pointers and was champion trainer for the 2013'14 season and champion Hunter Chase trainer in 2016/17. His wife, Lawney is a licenced trainer and together they have 2 children. All the family hunt and have been or are race riders, his son Joe was champion novice in 2012. Alan farms 1000 acres in Oxfordshire, mainly arable, but also grass paddocks and gallops and is also involved in helping run and prepare Kingston Blount point to point course. As Chairman of the PPORA committee, Robert currently sits on the PPA Board as the PPORA representative. Robert is a Land Agent based in South Gloucestershire. A Point-to-Point enthusiast he has held various positions in Point-to-Pointing and is a past Chairman of the Point-to-Point Secretaries Association. He is a member of The Bean Club who have horses with Nicky Sheppard. His family own the Point-to-Point course at Ston Easton in Somerset. Born in 1952, Stephen is a Company Director and Trustee of various organisations. He is currently a Grain Merchant as well as having commercial farming interests. Together with his family, Stephen has owned Point-to-Pointers for over 20 years and has been involved with organising Point-to-Points for over 40 years. He is a Point-to-Point Judge and Steward, as well as being the Chairman of the East Anglian Area. Jeremy has owned Point-to-Point and National Hunt Racehorses for 25 years and has gained extensive experience as Assistant Trainer in the family racing business. He has been The Point-to-Point Owners and Riders Association Representative for the Wessex area for the past 22 years. A Director of a wide range of rural enterprises, Jeremy joined the PPA Board as an independent in January 2015 and offers extensive business experience.